Squirrel is raising £400,000 investment on Crowdcube. Capital At Risk. Squirrel is a Barclays-held account that splits your salary up into bills, savings, and a weekly allowance. 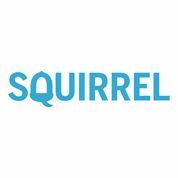 Rated best product in the regular saving category ahead of Natwest and RBS, Squirrel has won numerous awards and is backed by VC/angel investors including the founder of Funding circle. Squirrel is a Barclays Techstars company on a mission to stop people running out of money, and make achieving financial goals easy. While banks continue to make spending easier and offer overdrafts and credit to monetize, Squirrel makes it harder to spend money when you don’t need to, and makes money through subscription - helping customers stick to a budget and build savings! Squirrel is a Barclays-held account that splits your salary up into bills, savings, and a weekly allowance. You can rest assured knowing your bills are paid, your savings are automatically kept on track, and you always have spending money every week. - Rated best product in the regular saving category ahead of Natwest, RBS and Barclays! • 26m people make < £40k p.a. To see the rest of the Squirrel pitch, join now. Join to read more information about the Squirrel team, documents, and what other investors are saying about the pitch.